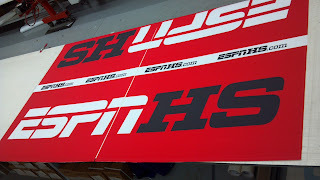 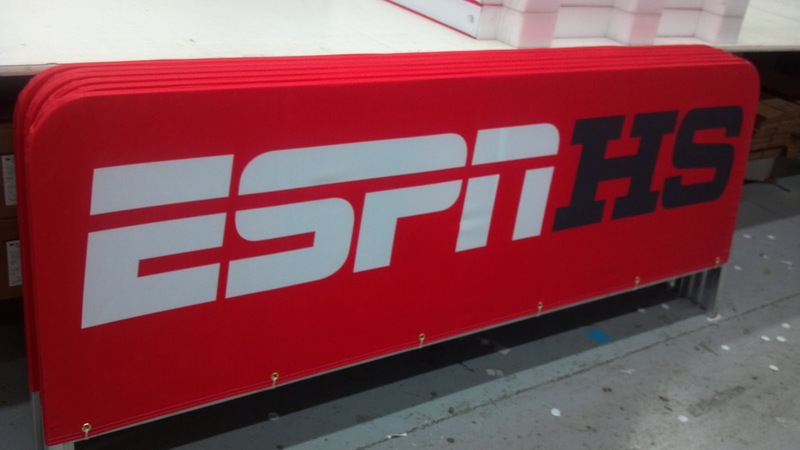 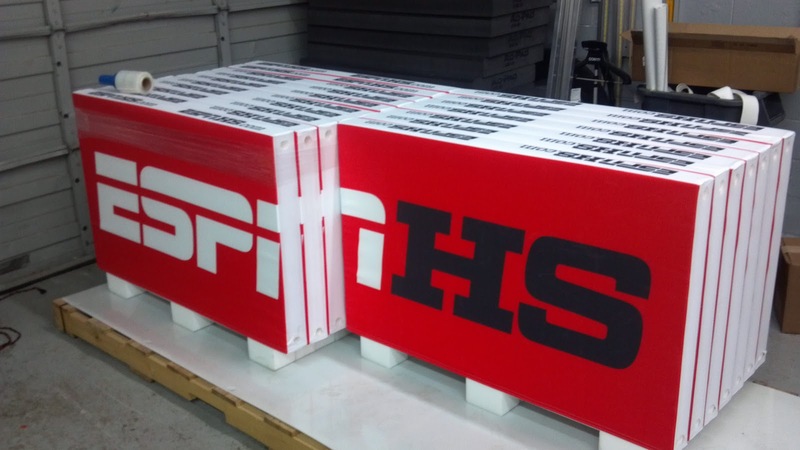 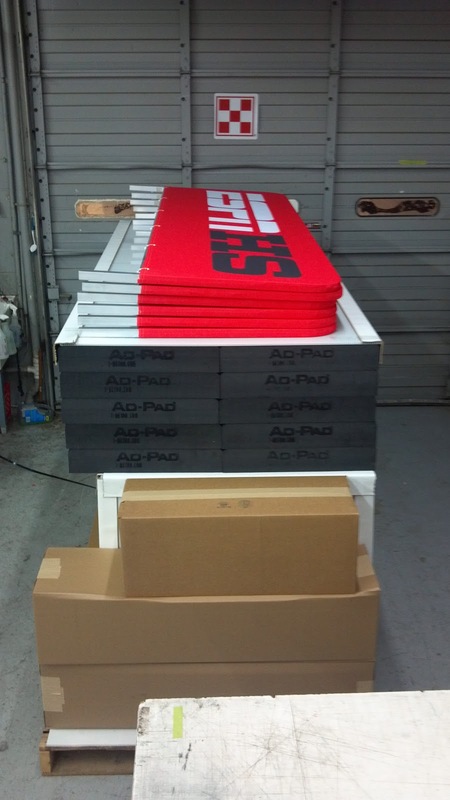 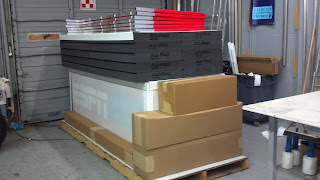 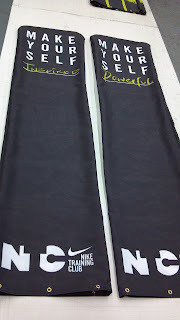 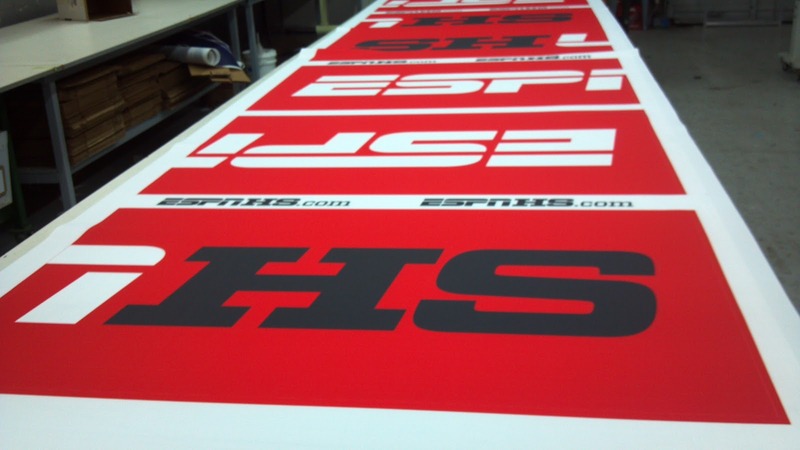 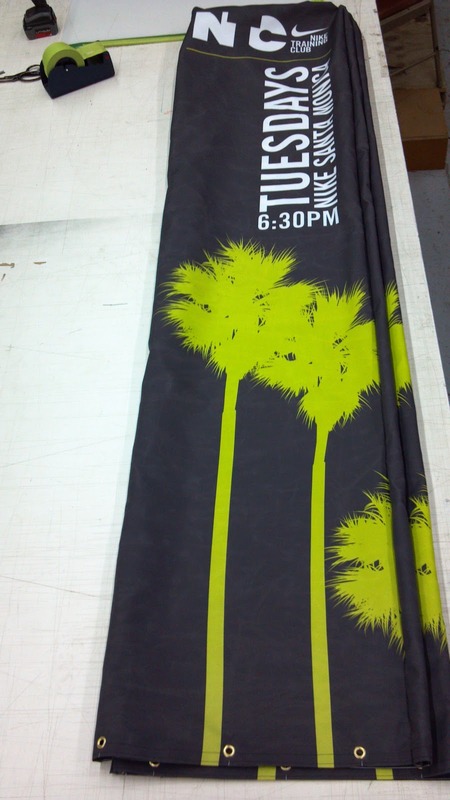 ESPN just orders a variety of products from mesh banners to Ad-Pads and Ad-Cades for their High School sporting events. 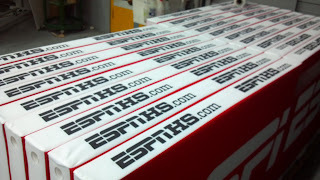 Here is a behinds the scenes look at production! You can connect our Ad-Cades to fit any message you like! 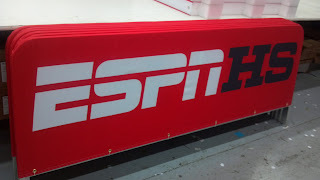 Remember: Ad-Cades are made of foam and break away from their base, allowing advertisers to get right next to the action! 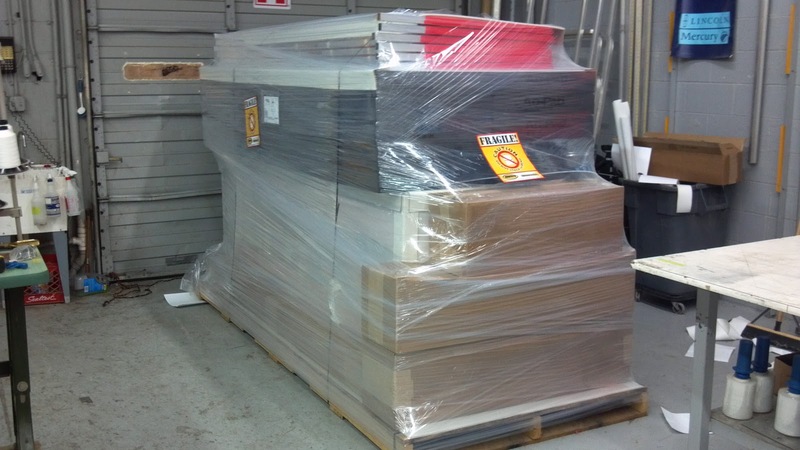 and make sure your shipment arrives ON TIME and as flawless as when it left our care! 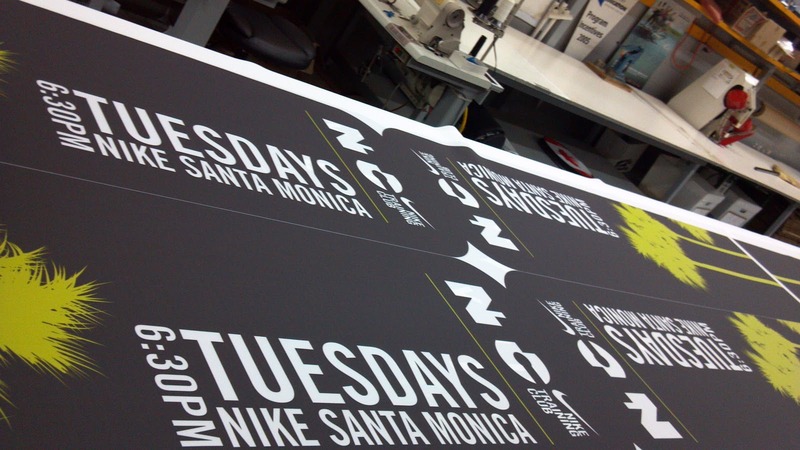 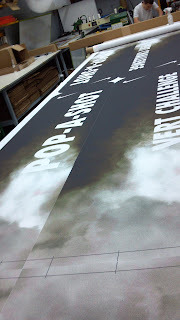 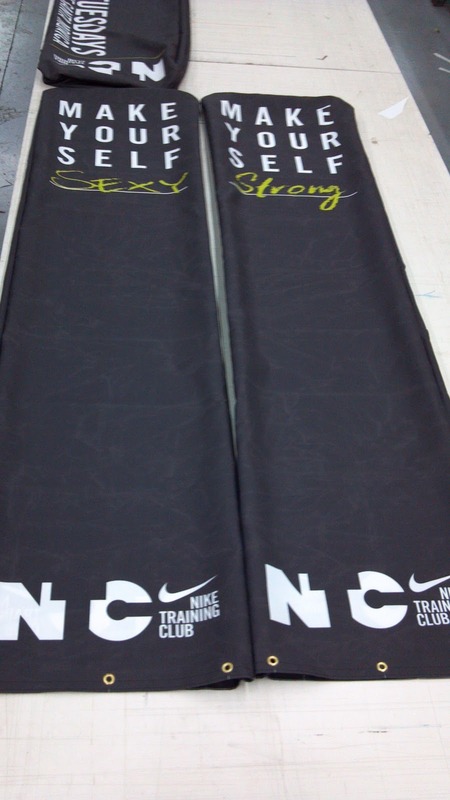 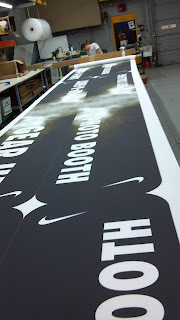 Here is a quick look at a few of the Ad-Cades we have made for various Nike events! Now they just need to be slipped onto the frames. 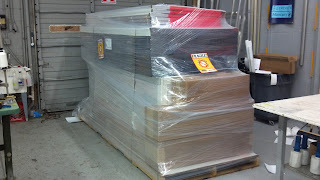 Since they already have a ton of our frames, we just shipped the Ad-Cade banners folded in a box.